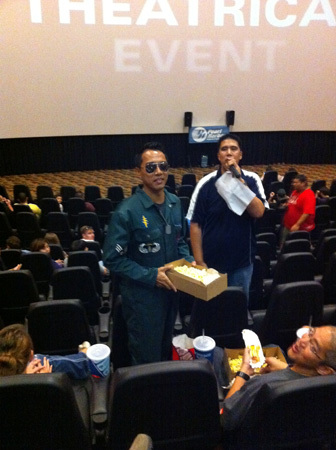 Oahu residents came out last week to be Maverick's wingman on the 25th anniversary of the film's debut. The question now is, will they be Consolidated Theatres' wingman should the theater offer more old favorites? What started off as a nostalgia showing of Top Gun could potentially open the door for other beloved pop culture, geek, and cult classics to make their way onto a theater screen near you. More specifically, a theater screen here on Oahu. 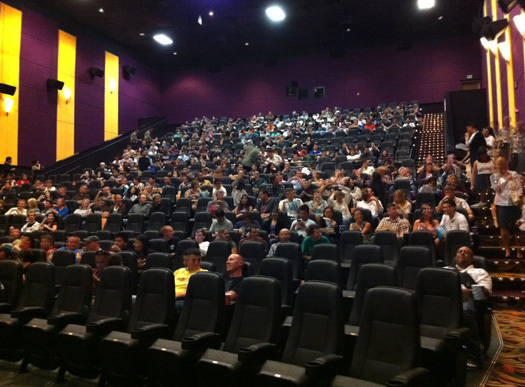 Last week Monday’s special presentation of Top Gun drew a nearly packed house for the 7:15pm showing and a respectable half full auditorium for the 10pm showing–no small feat considering that it was a Monday night and that tickets were north of $14. 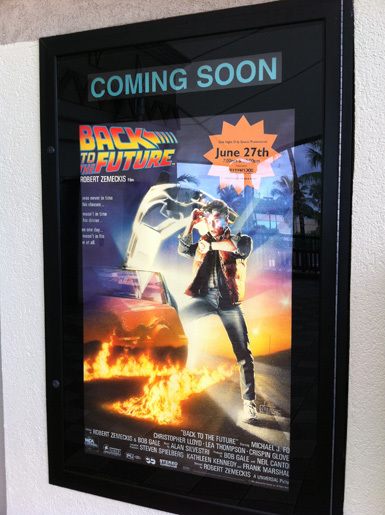 Oh yeah, did I also mention that the movie being shown was 25 years old and not some 2011 summer blockbuster? Out of the four choices available, Back to the Future narrowly won out (Raiders of the Lost Ark, Dirty Dancing, and Blade Runner being the other options). In total 59 people voted, and though it’s a small sample size, it definitely says something about what local residents want to see at their local cinema. If you didn’t know it from reading this blog (or this blog post for that matter if this is your first time to the blog), I’m a movie lover. I don’t need to be sold on going to the movie theater. The rub comes when Hollywood tries to get THE AVERAGE PERSON to go to the movie theater. Factors such as ticket price, format (2D/3D), location, and content all come into play in trying to get the average person to go to the movie theater. Not just any movie will get people to come out. 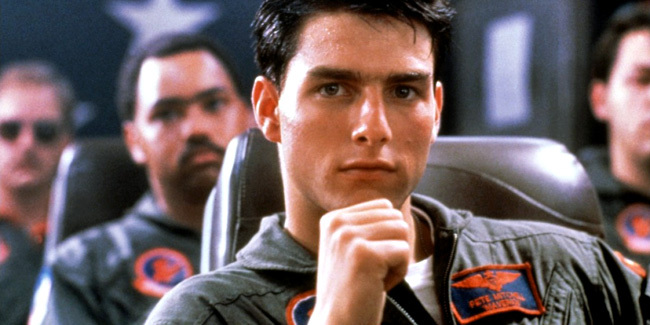 And that’s why our recent showing of Top Gun can be viewed as an experiment of sorts . 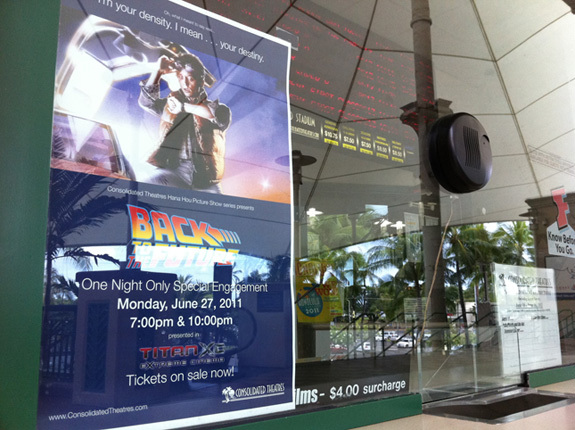 . . if that many people came out for Top Gun, will they come out for Back to the Future? What about other older films? Only time will tell I guess, but this much is clear: there are definitely people here who would pay current ticket prices to see other movies similar to Top Gun. With a good showing for Top Gun I think we’ve (Oahu moviegoers) definitely proved that we’ll come back for more. I only hope that should older films continue to come out locally, that moviegoers continue to come out and support this time of programming. Otherwise who’s to say when we’ll see cool old movies again on the big screen. Things definitely got heated last week with regards to bringing back old school favorites onto the big screen to be viewed in the way they were intended to be. As previously stated earlier in this post, 59 people participated in the poll on Consolidated Theatres’ Facebook page. In the end it was basically a two horse race with Back to the Future beating out Indiana Jones and the Raiders of the Lost Ark in the polls 26-23 (respectively). There was some lively conversation/campaigning going on in Consolidated comments, some of which even I participated in offsite on Namesake, the newest social networking platform enamoring the Hawaii tech community. Movies have been the language of dreams for the last century, and many of the greatest films (particularly in Technicolor) deserve to be seen in the arena they were created for, the movie theater. It really is a different experience than the corner of the living room. Check out his full post over at HonoluluPulse.com. The Titan theater marquee all set for Top Gun. 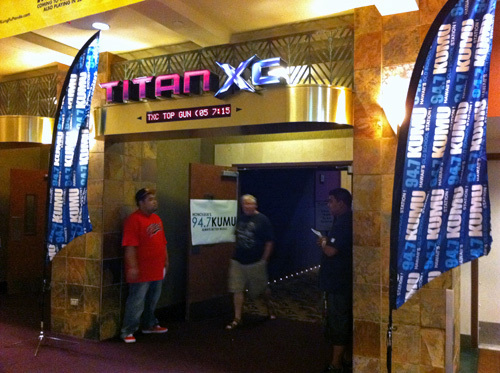 Entrance to the theater adorned with the 94.7 KUMU flags. Crowd filling up the 490 seat Titan XC theater. You gotta love it when people dress up for the movies. More photos from 94.7 KUMU.